Lucknow, April 11: A day after the scientific community unveiled one of the most intriguing features of the space - the "black hole" - Samajwadi Party president and former Uttar Pradesh chief minister Akhilesh Yadav jabbed Prime Minister Narendra Modi, asking when would his promise of "achhe din (good days)" see light of the day. 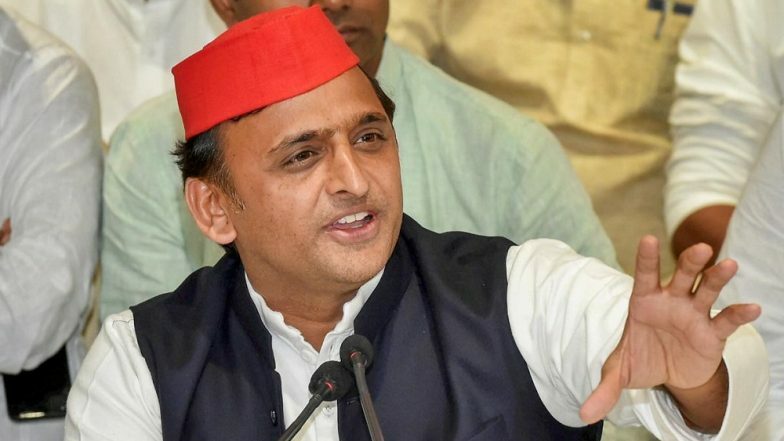 Akhilesh took a sarcastic jibe aimed at PM Modi, lamenting on Twitter whether people would ever see the acche din, as the black hole is also visible now. "Black hole is visible now, but acche din is yet to be seen," he said. His remarks came shortly after the conclusion of phase-1 of Lok Sabha elections 2019. What is Black Hole? Interesting Facts That Will Blow Your Mind. In a breakthrough that thrilled the world of astrophysics and stirred talk of a Nobel Prize, scientists on Wednesday released the first image ever made of a black hole, revealing a fiery doughnut-shaped object in a galaxy 53 million light-years from Earth. The image, assembled from data gathered by eight radio telescopes around the world, shows light and gas swirling around the lip of a supermassive black hole, a monster of the universe whose existence was theorised by Einstein more than a century ago but confirmed only indirectly over the decades.